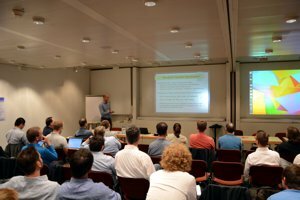 The second OMNeT++ Community Summit will be held at IBM Research - Zurich, Switzerland, on Thursday and Friday, September 3-4, 2015. OMNeT++ is a public-source, component-based, modular and open-architecture simulation environment with strong GUI support and an embeddable simulation kernel. It is designed to simulate discrete event systems, but the primary application area is the simulation of communication networks. 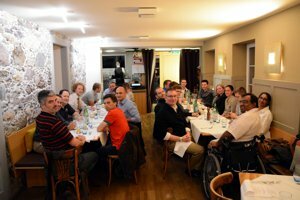 After six successful editions of the International Workshop on OMNeT++, we changed the workshop format in 2014 to allow for less costs and more interaction between the participants. The successor of the International Workshop on OMNeT++ is the OMNeT++ Community Summit. The Community Summit provides a forum for tutorials, discussion sessions and presentations on recent developments and novel ideas in the area of network simulation and modeling, with a focus on the OMNeT++ simulation environment. The first Summit in 2014 was an huge success with over 40 on-site and several remote participants. In 2015, we continue to expand the idea of the community summit by explicitly addressing the interaction through tutorials, additional discussion slots and extending the summit over two days. The proceedings of the OMNeT++ Summit are submitted to arXiv.org. Links to the individual submissions can be found in the program. The OMNeT++ Summit intends to be a lively event with a lot of discussions. A wide range of presentations, talks and demonstrations regarding specific sub-topics will be held. In addition, invited talks and panels are planed. Even if you do not have a specific discussion slot, there will be enough time to discuss your opinions on the different parts of OMNeT++ and related simulation and modeling questions. Presentations, breaks, and panels will take place at IBM Research Zurich - Säumerstrasse 4, Rooms C201 / C202. Please follow the OMNeT++ Community Summit signs. MiXiM, PAWiS, and STEAM-Sim Integration – Combining Channel Models, Energy Awareness, and Real-life Application Code After a decade of research in the field of wireless sensor networks (WSNs) there are still open issues. WSNs impose several severe requirements regarding energy consumption, processing capabilities, mobility, and robustness of wireless transmissions. Simulation has shown to be the most cost-efficient approach for evaluation of WSNs, thus a number of simulators are available. Unfortunately, these simulation environments typically consider WSNs from a special point of view. In this work we present the integration of three such specialized frameworks, namely MiXiM, PAWiS, and STEAM-Sim. This integration combines the strengths of the single frameworks such as realistic channel models, mobility patterns, accurate energy models, and inclusion of real-life application code. The result is a new simulation environment which enables a more general consideration of WSNs. We implemented and verified our proposed concept by means of static and mobile scenarios. As the presented results show, the combined framework gives the same results regarding the functionality and energy consumption as our "golden model". Therefore the system integration was successful and the framework is ready to be used by the community. OMNeT++ and Mosaik: Enabling Simulation of Smart Grid Communications This paper presents a preliminary system architecture of integrating OMNeT++ into the mosaik co-simulation framework. This will enable realistic simulation of communication network protocols and services for smart grid scenarios and on the other side, further development of communication protocols for smart grid applications. Thus, by integrating OMNeT++ and mosaik, both communities will be able to leverage each others's sophisticated simulation models and expertise. The main challenges identified are the external management of the OMNeT++ simulation kernel and performance issues when federating various simulators, including OMNeT++ into the mosaik framework. The purpose of this paper is to bring these challenges up and to gather relevant experience and expertise from the OMNeT++ community. We especially encourage collaboration among all OMNeT++ developers and users. Federating OMNeT++ Simulations with Testbed Environments We are in the process of developing a system architecture for opportunistic and information centric communications. This architecture (called Keetchi), meant for the Internet of Things (IoT) is focussed on enabling applications to perform distributed and decentralised communications among smart devices. To realise and evaluate this architecture, we follow a 3-step approach. Our first approach of evaluation is the development of a testbed with smart devices (mainly smart phones and tablets) deployed with this architecture including the applications. The second step is where the architecture is evaluated in large scale scenarios with the OMNeT++ simulation environment. The third step is where the OMNeT++ simulation environment is fed with traces of data collected from experiments done using the testbed. In realising these environments, we develop the functionality of this architecture as a common code base that is able to operate in the OMNeT++ environment as well as in the smart devices of the testbed (e.g., Android, iOS, Contiki, etc.). This paper presents the details of the "Write once, compile anywhere" (WOCA) code base architecture of Keetchi. Modeling Quantum Optical Components, Pulses and Fiber Channels Using OMNeT++ Quantum Key Distribution (QKD) is an innovative technology which exploits the laws of quantum mechanics to generate and distribute unconditionally secure cryptographic keys. While QKD offers the promise of unconditionally secure key distribution, real world systems are built from non-ideal components which necessitates the need to model and understand the impact these non-idealities have on system performance and security. OMNeT++ has been used as a basis to develop a simulation framework to support this endeavor. This framework, referred to as "qkdX" extends OMNeT++'s module and message abstractions to efficiently model optical components, optical pulses, operating protocols and processes. This paper presents the design of this framework including how OMNeT++'s abstractions have been utilized to model quantum optical components, optical pulses, fiber and free space channels. Furthermore, from our toolbox of created components, we present various notional and real QKD systems, which have been studied and analyzed. Integration of the Packetdrill Testing Tool in INET Google released in 2013 a script-based tool called packetdrill, which allows to test transport protocols like UDP and TCP on Linux and BSD-based operating systems. The scripts defining a test-case allow to inject packets to the implementation under test, perform operations at the API controlling the transport protocol and verify the sending of packets, all at specified times. This paper describes a port of packetdrill to the INET framework for the OMNeT++ simulation environment providing a simple and powerful method of testing the transport protocols implemented in INET. uIP Support for the Network Simulation Cradle This paper introduces the ongoing integration of Contiki's uIP stack into the OMNeT++ port of the Network Simulation Cradle (NSC). The NSC utilizes code from real world stack implementations and allows for an accurate simulation and comparison of different TCP/IP stacks. uIP(v6) provides resource-constrained devices with an RFC-compliant TCP/IP stack and promotes the use of IPv6 in the vastly growing field of Internet of Things scenarios. This work-in-progress report discusses our motivation to integrate uIP into the NSC, our chosen approach and possible use cases for the simulation of uIP in OMNeT++. Dynamic Index NAT as a Mobility Solution in OMNeT++ Mobility in wireless networks causes a major issue from the IP-addressing perspective. When a Mobile Node (MN) moves to another subnet, it will probably get assigned a new IP address. This causes a routing problem since the MN will not be reachable with its previous IP address known to the other communication party. Real time applications might suffer from connection drops, which is recognized as inconvenience in the currently used service, unless some solution is provided. An approach to maintain session continuity while traversing heterogeneous networks of different subnet addresses is proposed. Here, a cross-layer module is implemented in OMNeT++ with NAT functionality to provide a seamless handover. A proof of concept is also shown with analogy to the Mobile IPv6 protocol provided in INET. Improvements in OMNeT++/INET Real-Time Scheduler for Emulation Mode In this paper the performance of INET's emulation mode is evaluated. In particular, the focus of the study is on the precision of the delay emulation. It is shown, that this precision is low in INET 2.6 (respectively a later version provided in the integration branch that fixed the crashes of 2.6 in emulation mode). Two errors in the implementation are identified and an alternative configuration for packet capturing is proposed. The performance tests are re-run with such a modified version of the real-time scheduler (which is now included in the recent INET 3.0 release) and it is shown that the responsiveness of the emulation mode and the precision of delay emulation are improved significantly. Finally, the negative impact of the modified capturing configuration is briefly analyzed. Packet loss in the capturing process has deteriorated but in fact is has already plagued the emulation mode of previous implementations and this topic clearly demands for further studies. Simulating Power Consumption in OMNeT++ A panel discussion on simulating power consumption was organized for the OMNeT++ Summit. Six speakers are scheduled to discuss their experiences and thoughts for the future. Issues with State-based Energy Consumption Modelling Energy consumption modelling by state based approaches often assume constant energy consumption values in each state. However, it happens in certain situations that during state transitions or even during a state the energy consumption is not constant and does fluctuate. This paper discusses those issues by presenting some examples from wireless sensor and wireless local area networks for such cases and possible solutions. A Simulation Package for Energy Consumption of Content Delivery Networks (CDNs) Content Delivery Networks (CDNs) are becoming an integral part of the future generation Internet. Traditionally, these networks have been designed with the goals of traffic offload and the improvement of users' quality of experience (QoE), but the energy consumption is also becoming an indispensable design factor for CDNs to be a sustainable solution. To study and improve the CDN architectures using this new design metric, we are planning to develop a generic and flexible simulation package in OMNet++. This package is aimed to render a holistic view about the CDN energy consumption behaviour by incorporating the state-of-the-art energy consumption models proposed for the individual elements of CDNs (e.g. servers, routers, wired and wireless links, wireless devices, etc.) and for the various Internet contents (web pages, files, streaming video, etc.). Implementation of a Wake-up Radio Cross-Layer Protocol in OMNeT++ / MiXiM This paper presents the DoRa protocol, which is a new cross-layer protocol for handling the double radio of nodes in wake-up radio scenario. The implementation details in OMNET++/MiXiM are also given, with a focus on the implemented MAC layers. The main goal of the DoRa protocol is to reduce energy consumption in wireless sensor network, by taking full advantage of the passive wake-up scheme. The performance of the DoRa protocol is then evaluated and results are compared with B-MAC and IEEE 802.15.4 protocols. Looking into Hardware-in-the-Loop Coupling of OMNeT++ and RoSeNet Network emulation using real sensor node hardware is used to increase the accuracy of pure network simulations. Coupling OMNeT++ with network emulation platforms and tools introduces new application possibilities for both sides. This work-in-progress report covers our experiences of using OMNeT++ as a test driver for RoSeNet, a network emulation and test platform for low-power wireless technologies like IEEE 802.15.4. OMNeT++ and RoSeNet were interconnected to enable a co-simulation of real sensor networks with a MAC layer simulation model. Experiences and insights on this Hardware-in-the-Loop (HIL) simulation together with ideas to extend OMNeT++ and to provide a generic interconnection API complete the report. Implementation of PFC and RCM for RoCEv2 Simulation in OMNeT++ As traffic patterns and network topologies become more and more complicated in current enterprise data centers and TOP500 supercomputers, the probability of network congestion increases. If no countermeasures are taken, network congestion causes long communication delays and degrades network performance. A congestion control mechanism is often provided to reduce the consequences of congestion. However, it is usually difficult to configure and activate a congestion control mechanism in production clusters and supercomputers due to concerns that it may negatively impact jobs if the mechanism is not appropriately configured. Therefore, simulations for these situations are necessary to identify congestion points and sources, and more importantly, to determine optimal settings that can be utilized to reduce congestion in those complicated networks. In this paper, we use OMNeT++ to implement the IEEE 802.1Qbb Priority-based Flow Control (PFC) and RoCEv2 Congestion Management (RCM) in order to simulate clusters with RoCEv2 interconnects. Regain Control of Growing Dependencies in OMNeT++ Simulations When designing simulation models, it is favourable to reuse existing models as far as possible to reduce the effort from the first idea to simulation results. Thanks to the OMNeT++ community, there are several toolboxes available covering a wide range of network communication protocols. However, it can be quite a daunting task to handle the build process when multiple existing simulation models need to be combined with custom sources. Project references provided by the OMNeT++ Integrated Development Environment (IDE) are just partly up to the task because it can be barely automated. For this reason, a new approach is presented to build complex simulation models with the help of CMake, which is a wide-spread build tool for C and C++ projects. The resulting toolchain allows to handle dependencies conveniently without need for any changes in upstream projects and also takes special care of OMNeT++-specific aspects. Towards OMNeT++ 5 This presentation demonstrates new features and functions of the upcoming OMNeT++ version 5. Optimization in the Loop: Implementing and Testing Scheduling Algorithms with SimuLTE One of the main purposes of discrete event simulators such as OMNeT++ is to test new algorithms or protocols in realistic environments. These often need to be benchmarked against optimal/theoretical results obtained by running commercial optimization solvers. The usual way to do this is to have the simulator run in a standalone mode and generate (few) snapshots, which are then fed to the optimization solvers. This allows one to compare the optimal and suboptimal solutions in the snapshots, but does not allow to assess how the system being studied would evolve over time if the optimal solution was enforced every time. This requires optimization software to run directly in the loop of the simulation, exchanging information with the latter. The goal of this tutorial is to show how to integrate a commercial solver (CPLEX) into the simulation loop of the OMNeT++ environment. For this purpose, we propose two methods: a first one that uses a solver as an external program, and a second one that exploits a C-written API for CPLEX known as Callable Library. We then exemplify how to apply these two methods to SimuLTE, a simulation model for LTE cellular networks, implementing and testing a simple solution to a well-known resource-scheduling problem. 18:50 Meeting for trip to the evening dinner location (in walking distance from the summit site). Wireless Tutorial on INET 3.0 This tutorial covers new features introduced in the latest INET release. Topics regarding configuration, routing, and the new wireless models are covered in the tutorial. Beyond INET 3.0 This talk covers ideas for future INET developments. It will serve as a basis for the following panel discussion. Touched topics will include a new socket interface, flat packets, tags support, new mobility models, a possible energy framework, and an IEEE 802.11 implementation based on an SDL specification amongst others. Proposal For a New 802.11 MAC Model To Facilitate Experimentation and Contributions A new, modular, and pluggable MAC implementation is proposed, which is suitable as a base for implementing modern IEEE 802.11 features, and also lends itself to experimentation and extensions. Session "New Protocols and Models"
Realistic, Extensible DNS and mDNS Models for INET / OMNeT++ The domain name system (DNS) is one of the core services in today's network structures. In local and ad-hoc networks DNS is often enhanced or replaced by mDNS. As of yet, no simulation models for DNS and mDNS have been developed for INET/OMNeT++. We introduce DNS and mDNS simulation models for OMNeT++, which allow researchers to easily prototype and evaluate extensions for these protocols. In addition, we present models for our own experimental extensions, namely Stateless DNS and Privacy-Enhanced mDNS, that are based on the aforementioned models. Using our models we were able to further improve the efficiency of our protocol extensions. Integration of RTMFP in the OMNeT++ Simulation Environment This paper introduces the new Real-Time Media Flow Protocol (RTMFP) simulation model for the INET framework for the OMNeT++ simulation environment. RTMFP is a message orientated protocol with a focus on real time peer-to-peer communication. After Adobe Inc. released the specifications, we were able to implement the protocol in INET and compare its performance to the similar Stream Control Transmission Protocol (SCTP) with a focus on congestion control and flow control mechanisms. ptp++: A Precision Time Protocol Simulation Model for OMNeT++ / INET Precise time synchronization is expected to play a key role in emerging distributed and real-time applications such as the smart grid and Internet of Things (IoT) based applications. The Precision Time Protocol (PTP) is currently viewed as one of the main synchronization solutions over a packet-switched network, which supports microsecond synchronization accuracy. In this paper, we present a PTP simulation model for OMNeT++ INET, which allows to investigate the synchronization accuracy under different network configurations and conditions. To show some illustrative simulation results using the developed module, we investigate on the network load fluctuations and their impacts on the PTP performance by considering a network with class-based quality-of-service (QoS) support. The simulation results show that the network load significantly affects the network delay symmetry, and investigate a new technique called class probing to improve the PTP accuracy and mitigate the load fluctuation effects. High Frequency Radio Network Simulation Using OMNeT++ Harris Corporation has an interest in making HF radios a suitable medium for wireless information networks using standard Internet protocols. Although HF radio links have many unique characteristics, HF wireless subnets can be subject to many of the same traffic flow characteristics and topologies as existing line-of-sight (LOS) radio networks, giving rise to similar issues (media access, connectivity, routing) which lend themselves to investigation through simulation. Accordingly, we have undertaken to develop efficient, high-fidelity simulations of various aspects of HF radio communications and networking using the OMNeT++ framework. Essential aspects of these simulations include HF channel models simulating relevant channel attributes such as Signal to Noise Ratio, multipath, and Doppler spread; a calibrated physical layer model reproducing the error statistics (including burst error distributions) of the MIL-STD-188-110B/C HF modem waveforms, both narrowband (3 kHz) and wideband (up to 24 kHz) on the simulated HF channels; a model of the NATO STANAG 5066 data link protocol; and integration of these models with the OMNeT++ network simulation framework and its INET library of Internet protocol models. This simulation is used to evaluate the impacts of different STANAG 5066 configuration settings on TCP network performance, and to evaluate strategies for optimizing throughput over HF links using TCP Performance Enhancing Proxy (PEP) techniques. Skip This Paper - RINASim: Your Recursive InterNetwork Architecture Simulator Recursive InterNetwork Architecture is a clean-slate approach to how to deal with the current issues of the Internet based on the traditional TCP/IP networking stack. Instead of using a fixed number of layers with dedicated functionality, RINA proposes a single generic layer with programmable functionality that may be recursively stacked. We introduce a brand new framework for modeling and simulation of RINA that is intended for OMNeT++. A Tutorial of the Mobile Multimedia Wireless Sensor Network OMNeT++ Framework In this work, we will give a detailed tutorial instruction about how to use the Mobile Multi-Media Wireless Sensor Networks (M3WSN) simulation framework. The M3WSN framework has been published as a scientific paper in the 6th International Workshop on OMNeT++ (2013). M3WSN framework enables the multimedia transmission of real video sequence. Therefore, a set of multimedia algorithms, protocols, and services can be evaluated by using QoE metrics. Moreover, key video-related information, such as frame types, GoP length and intra-frame dependency can be used for creating new assessment and optimization solutions. To support mobility, M3WSN utilizes different mobility traces to enable the understanding of how the network behaves under mobile situations. This tutorial will cover how to install and configure the M3WSN framework, setting and running the experiments, creating mobility and video traces, and how to evaluate the performance of different protocols. The tutorial will be given in an environment of Ubuntu 12.04 LTS and OMNeT++ 4.2. In this talk, our approach for enabling scalable parallel processing of the Venus/OMNeT++ HPC network simulator on the Blue Gene/Q supercomputer is presented. In particular, we improve Venus/OMNeT++ on two key fronts. First, we introduce a new scalable, parallel initialization algorithm that leverages high-performance, memory efficient message broadcast capabilities that are available on the Blue Gene/Q supercomputer. This approach enables parallel configurations beyond 256 cores to successfully execute. The prior approach would exhaust system memory at higher core counts. Additionally, we improve simulator parallel efficiency and scalability by introducing a new parallel synchronization algorithm into OMNeT++ called "YAWNS". Unlike the existing Null Message Protocol (NMP) which exclusively synchronizes the network model using point-to-point messages, the YAWNS algorithm is implemented using very fast collective operations that are available on the Blue Gene/Q. To facilitate the transition of Venus to YAWNS massively parallel processing, the YAWNS algorithm and code are pulled from the Rensselaer Optimistic Simulator System (ROSS) which has an existing, highly optimized implementation of the synchronization approach. In our initial performance study, YAWNS outperforms the existing Null Message Protocol (NMP) by a range of 260 to over 400% and YAWNS yields a speedup of nearly 64x relative to an AMD Opteron processor when executing a 64K node fat tree network topology on 1,024 Blue Gene/Q cores. This research was done in collaboration with the IBM Venus team as part of the Department of Energy, Design Forward program. Professor Carothers is a faculty member in the Computer Science Department at Rensselaer Polytechnic Institute. He received the Ph.D., M.S., and B.S. from Georgia Institute of Technology in 1997, 1996, and 1991, respectively. Prior to joining RPI, he was a research scientist at the Georgia Institute of Technology. Professor Carothers is an NSF CAREER Award winner as well as Best Paper award winner at the PADS workshop for 1999, 2003 and 2009. Since joining Rensselaer, he has secured about $8 million in research funding from agencies including the NSF, the U.S. Department of Energy, Army Research Laboratory, Air Force Research Laboratory, as well as several companies, including IBM, General Electric, and AT&T. His simulation research involves the creation of high-fidelity models of extreme-scale wireless and wired networks and computer systems. These models have executed using nearly 2,000,000 processing cores on the largest leadership class supercomputers in the world. Additionally, Professor Carothers serves as the Director for the Rensselaer Center for Computational Innovations (CCI). CCI is a million partnership among Rensselaer and IBM. The center currently supports a network of more than 850 researchers, faculty, and students from 50 universities, government laboratories, and companies across a diverse spectrum of disciplines. Currently, the CCI operates high-performance computing resources approaching in excess of petaflop in compute power. The flagship supercomputer system is a 1 petaflop IBM Blue Gene/Q with 80 terabytes of memory and 81,920 processing cores. The presentation provides an introduction to cloud modeling and simulation technologies with focus on performance and scalability. We will emphasize the value of modeling and simulation technologies in the context of cloud computing and provide a short general introduction to these technologies. Specific requirements against modeling and simulations applied to cloud computing are discussed motivating our simulation-based approach. We will outline in some detail how various hardware and software objects of clouds can be modeled as individual entities and then glued together to form a simulation model of a complete cloud. Besides addressing key concepts like modeling of contention and data segmentation, we will describe workload generation and also address some general challenges associated with cloud modeling and simulations. Finally, we will describe the various stages of a cloud modeling project using the simulation of OpenStack image deployment on clouds as an example. Dr. Peter Altevogt is a performance architect at IBM Germany Research and Development GmbH in Boeblingen, Germany. He has built up and led performance teams for IBM BladeCenter systems, IBM Information Management Software products and Cloud management software. His interests include performance analysis using discrete-event simulations and queuing modeling. Peter Altevogt holds degrees in Mathematics and Physics from the University of Heidelberg and a doctorate in Theoretical Physics from the University of Karlsruhe. He joined the IBM Scientific Center in Heidelberg in 1991 to work on various High-Performance Computing projects before moving to the IBM Germany Research & Development GmbH in 1998. In 2009, he spent several months at the IBM Zürich Research Laboratory working on processor performance modeling. Currently, he is working on processor performance verification and modeling. With around 50 on-site participants, two keynote speakers, invited talks, and several panel discussions, the second OMNeT++ Community Summit served as a excellent community get-together. We would like to express our gratitude to all people involved in organizing the event and to all presenters and attendees. Below you find links to pictures from the various presentations. The summit brings together developers and researchers to discuss applications and ideas on the important topics of integrating simulation models, coupling different simulation tools and providing more accurate and more efficient modeling approaches. Abstracts (max. 4 pages) targeting ongoing and finalized research questions, introducing novel simulation techniques or new simulation models, and addressing questions of accurate and efficient modeling for simulation. Proposals for tutorials or demonstrations (max. 4 pages) on existing or new simulation frameworks, modeling techniques, OMNeT++ functionalities, and case studies. Proposals for coding sessions, discussion panels (max. 4 pages) and other interactive community activities. Submissions to the summit should be of interest to the OMNeT++ community. We welcome case-studies that employ OMNeT++ in the evaluation of new systems as well as contributions addressing general questions of simulation using OMNeT++. For model-centric submissions we ask the author(s) to publicize source code at the time of submission. All submissions will be checked by the technical program committee and the organizers. Individual contributions will be invited to be presented as oral presentations, posters, demos, tutorials or panels, depending on the submission type and their expected interest for the OMNeT++ community. 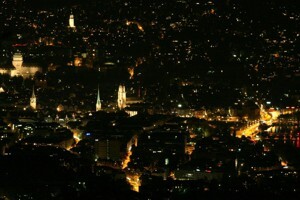 There are several other hotels available in Zurich. Please refer either to IBM's compiled list of Hotels in Zurich or use your favorite booking platform. 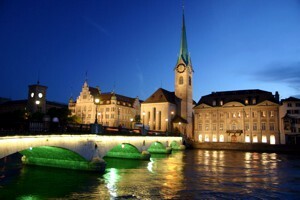 With more than 400.000 people, Zurich (Zürich) is the largest city in Switzerland as well as the capital of the canton of Zürich. The metropolitan area of Zürich comprises around 1.85 million inhabitants. 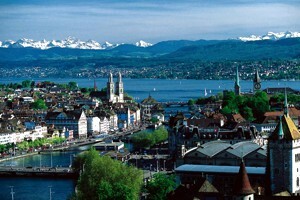 Zurich is the economic, scientific and social center of Switzerland. The city is a major tourist destination and a continental traffic hub; it was ranked on the on the top three cities worldwide in terms of liveability as well as living expenses. Please refer to IBM Research - Zurich's extensive description of directions and transport informations to find out how to reach the summit site. In case you want to contact the organizers, feel free to write an e-mail to [email protected]. The OMNeT++ Community Summit 2015 is sponsored. We would like to thank IBM Research - Zurich for their support. Business Machines Corp., registered in many jurisdictions worldwide.